The technical approach to determination of the structural and optical parameters of oxides with reduced dimensionality based on optical absorption measurements is described by example of gadolinium and nickel oxides. 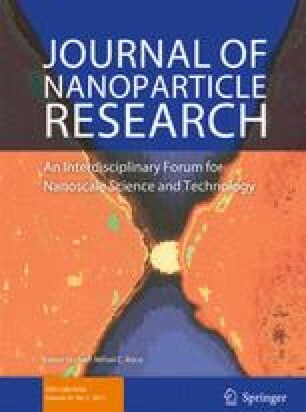 It was established that the temperature behavior of fundamental absorption edge for oxide nanoparticles is similar with the bulk materials with crystal structure. At the same time, the energy characteristics (band gap and effective phonon energies) for low-dimensional oxides are found to be significantly different from their bulk counterparts. The presented methodological method to obtain of qualitative and quantitative correlations of structural and optical characteristics provides novel reliable knowledge of nanoscaled 3d and 4f–metal oxide materials that is useful for development of their practical applications. The work was supported by the Ministry of Education and Science of the Russian Federation (Government task No. 3.1485.2017/PP). The synthesis and characterization of samples have been done in the framework of the RFBR project 17-08-01606. Ministry of Education and Science of Russia (Government task No. 3.1485.2017/PP).